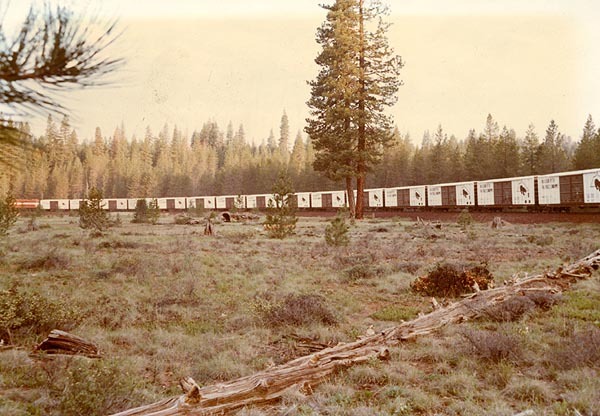 Shortly after the McCloud River Railroad leased 400 new boxcars from owner Itel in 1977 the parent company had the railroad run a special freight with the new boxcars out to Burney and back. 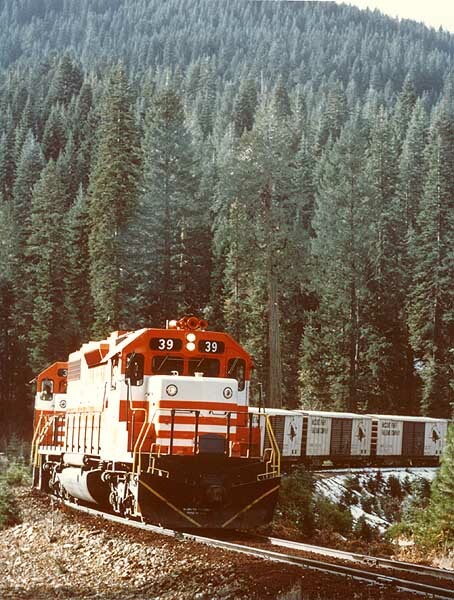 The company hired a professional photographer to take photos of the train at points along the way. These photos are presented here courtesy of Travis Berryman. 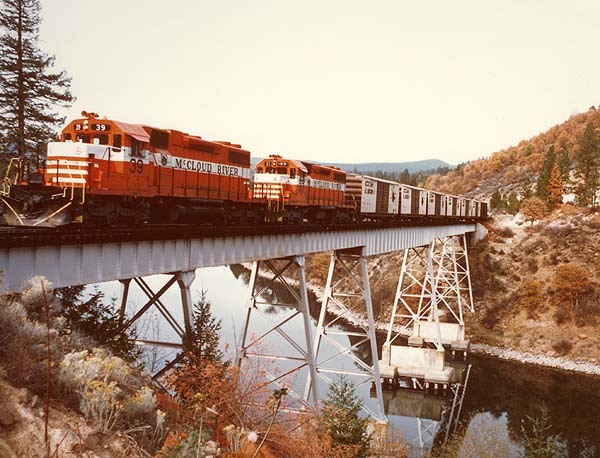 The train posed on the Lake Britton Bridge. The same train from another angle. On the return trip to McCloud the train stopped on the fill at Nebraska Curve for some more photos. 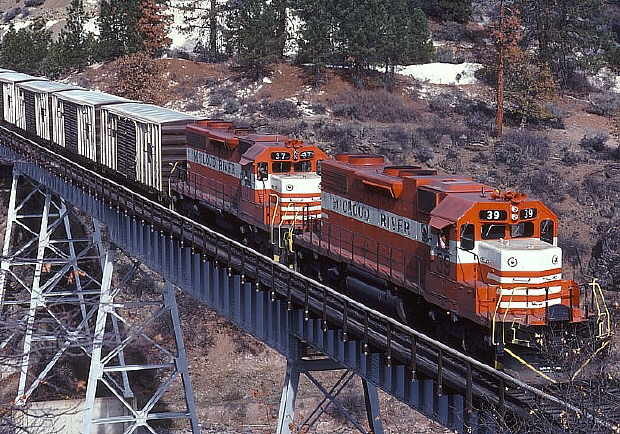 Another view of the train on Nebraska Curve. Tree growth in the years since makes the photo impossible to duplicate today. 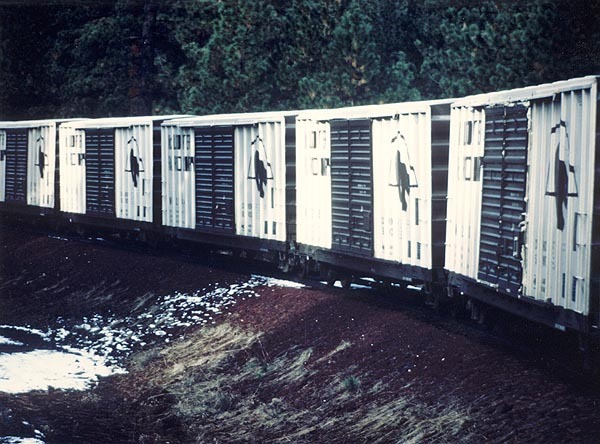 The boxcars as seen from the locomotives.